4-in-1 interchangeable plates hair styling tool, contains L wave plate, M wave plate, S wave plate and flat plate. 1.5-inch ceramic tourmaline coating heating plate, heating evenly; PTC heater, fast heating up. 4 adjustable temperatures: 160°C, 180°C, 200°C, 220°C. 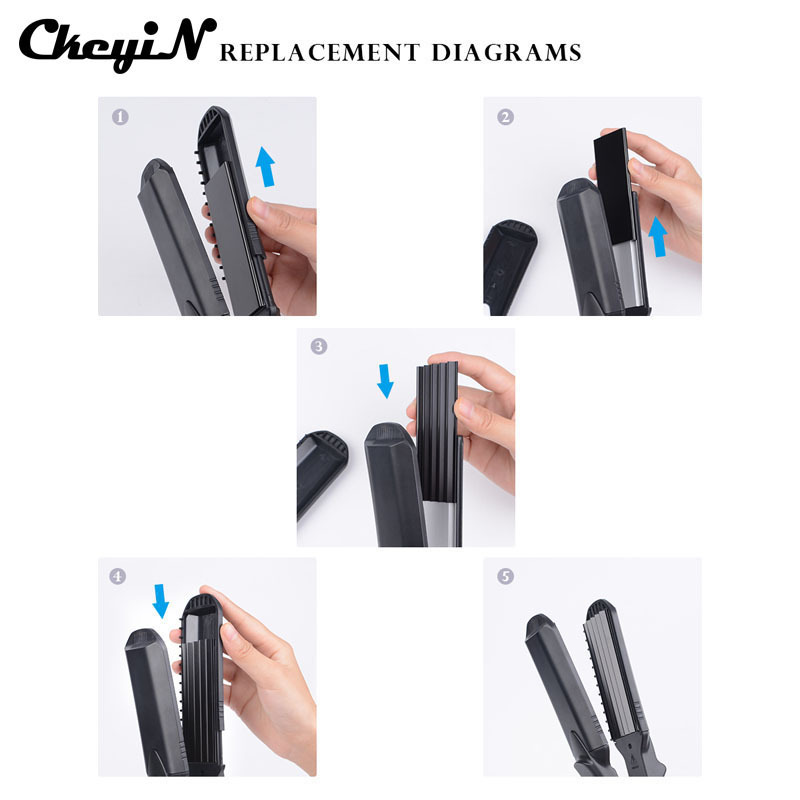 Allows you to adjust the temperature according to different hair. The front-end with excellent insulation design, convenient for hands operation. 360 degree freely swivel power cord, use more convenient.